Retirement planning has been a major headache for many Singaporeans, who continue to rely on their Central Provident Fund savings as their basic nest egg, a reliance many financial advisers say is outdated. 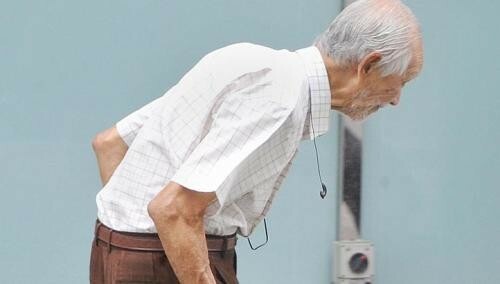 Still, 41 per cent of about 1,000 Singaporeans polled in the survey said they have never saved for retirement. Of these, 47 per cent claimed they are held back by the cost of day-to-day living while 31 per cent said they have never really thought about it. Some 38 per cent said buying a property is the biggest obstacle to saving for retirement, an unsurprising fact, given that property prices have soared in the past few years. Other top reasons include unemployment, financing children's education, and starting a family. But the poll also found that more than half of those surveyed said they want to achieve a good standard of living after retirement. The poll of nearly 16,000 worldwide was conducted online. Chief executive Christopher Tan of wealth management and financial advisory firm Providend believes that it is all about managing expectations. "If retirement planning is important and a priority, you will make the effort to save, even if it is $100 or $200 a month that you can spare," he said. He also said many young adults may face difficulty saving if they buy houses and cars that they cannot afford comfortably. "Younger people also lack the sense of urgency when planning for retirement. When you are just starting your family, retirement will be the last thing on your mind. I'm not saying that is correct, but that is what is happening," he added. Lawyer Gerald Goh said his priority is to buy his first property and a car. The 29-year-old said: "I will start saving for retirement only after buying my first property, and I am nowhere near there yet." But insurance agent Bernard Lin, 28, had already started to squirrel away money for retirement three years ago, by putting money in endowment plans. He was motivated to do so after he realised his parents and clients do not have enough for their old age. "I also see some clients who have saved for retirement, and they are stress-free," he said. "If you don't start saving young, it will become taxing in the later years when you have less earning power, or when your health is poorer." The survey also found that those who consulted a professional adviser for their retirement planning accumulated the most wealth in their retirement savings, averaging $324,070. This was more than 50 per cent higher than the accumulated savings of $220,383 for those who did not, said HSBC. Similarly, respondents with a formal retirement plan are financially better off than those who rely on informal methods, and those who have no plans at all.